GlyMed Plus Kits are wonderful! Alana knows how important it is to continue your skin care routine, even while traveling. Take your GlyMed Skin Essentials Plus Kit with you wherever you go and keep your skin looking great. Alana is very pleased to have 10 kits for you to choose from. Below are a few of the best sellers! GlyMed Plus Action Pac Introductory Treatment Kit –With three different choice combinations, you can find the acne treatment kit that will benefit you. Serious Action Pac – Grade 1 was designed for oily/combination skin that has occasional breakouts. It includes products for treatment and prevention. Serious Action Pac - Grade 2 was created to help skin dealing with acne, blackheads and subsurface infections. The products aid in treatment and prevention. Serious Action Pac - Grade 3 is made for frequent breakouts or ongoing acne problems. It helps treat visible and subsurface infections. Like Action Pac 1 and 2, it also contains products for treatment and prevention. GlyMed Plus Addictions Travel Kit - This kit has all your favorite products in a convenient travel size. It contains:Mega-Purifying Cleanser, Intense Peptide Skin Recovery Complex, Ultra Hydro Gel, Eye Calm, and Photo-Age Environmental Protection Gel 15. Your skin care needs are all taken care of in this easy to pack travel kit. GlyMed Plus Age Management Skin Care Kit - GlyMed Plus Age Management Skin Care Kit was designed for changes of aging, photo-aged and skin damaged by the environment. This system is a complete line of products that can be used on all types of skin. It has gentle cleansers, and components that treat and restore balance to your skin while providing protection. Ask Alana today how this product can benefit you! 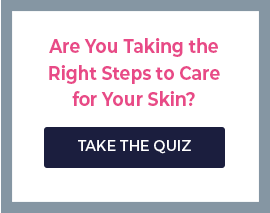 Skin Care by Alana Can Help You Choose the Right GlyMed Plus Kit for You! Alana wants you to be happy with the skin you are in. Skincare by Alana is the best place to buy your GlyMed Plus Kit. We offer free shipping and either a discount or free gift, depending on the order. Get expert advice before you order! We are open seven days a week and want to answer your questions! Chat with us online or call us at (888) 222-0637. Our trained estheticians will be happy to help you in choosing the GlyMed that will be best suited to your needs. Give us a call today!